If it’s autumn, Shillong is the place to be as it gears up to host the India International Cherry Blossom Festival from November 14-17. Called the Scotland of the East, India’s Shillong, capital of India’s northeastern state of Meghalaya, is awash with cherry blossom trees with their branches filled with white and pink flowers. 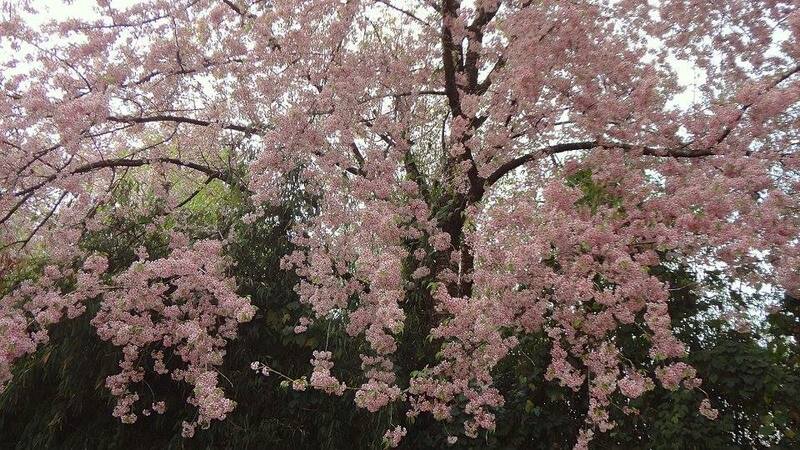 Shillong’s 3rd India International Cherry Blossom Festival 2018 will celebrate the unique autumn flowering of Himalayan Cherry Blossoms with a gamut of cultural events. Among the events planned are fashion shows, rock concerts, a beauty pageant, and even a competition in an amateur golf tournament. Alongside these, there will be stalls showcasing the region’s food and crafts, and there are several Japanese cultural events, a Japanese Food Pavilion, and a Higher Education Stall in partnership with the Embassy of Japan in India. Meghalaya Chief Minister Conrad Sangma stated that this was another way to deepen and strengthen connections with the Japanese government. He called upon people to be part of this wonderful India International Cherry Blossom Festival 2018. Unlike the cherry fruit, the cherry blossom tree, when it flowers – just for a short period in a year – the pink and white glory it exudes is a sight to feast upon. Meghalaya is a hub of native biodiversity as it is home to 5,538 species of fauna, which includes one of India’s only two species of true apes, supporting the life of about 3,128 species of flowering plants that account for 18% of the country’s total floral wealth. Two years ago, the state’s government launched the Cherry Blossom Festival in recognition of this abundance. Avenues lined with cherry blossom trees will result in promoting sustainable tourism in the northeast. The nearest airport to Shillong is at Umroi, located 30 km north of Shillong. But the most convenient is the Guwahati Airport in Borjhar, which is 118 km from Shillong. Guwahati is also the closest railhead, 128 km north of Shillong.